At America's Alcohol Certified Education Association, we are committed to responsible alcohol sales and service. Part of this is an attempt to make an impact on underage drinking. We found a particularly concerning report the other day stating that alcohol in movies has been linked to underage drinking. This large US study says that "Stars who knock back whiskey, wine, or beer in a movie are an invisible but potent force in prompting youngersters to experiment with alcohol or binge-drinking..."
The youngsters were surveyed on what big movies they had seen, whether they drank alcohol or owned merchandise with a liquor brand on it, and were also asked questions about their personality, school and home life. ...The researchers then measured the amount of exposure to alcohol in movies, determined by a character's actual or implied consumption of a drink or purchase of it. High exposure to alcohol consumption in films was ranked as the third biggest factor in the onset of drinking and the fourth biggest factor in the progression to binge drinking. 61% of Hollywood movies use some kind of product placement. Though producers are not allowed to use tobacco placements, they face no restrictions on product placement when it comes to alcohol. Alcohol consumption and branding in movies is mainly presented in positive sitiuations, with no negative affects, "which consolidates both the adolescent's identify as a drink and brand allegiance" the study warns. The best line of defense in underage drinking, for now, falls to alcohol servers. 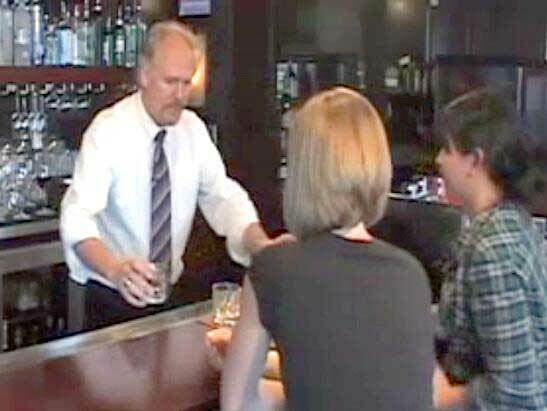 Many states require alcohol servers permits, which include training on how to spot fake ID's and curb underage drinking. To get your Washington State alcohol servers permit, take one of our online alcohol classes to become certified. Find out more at www.aacea.com.